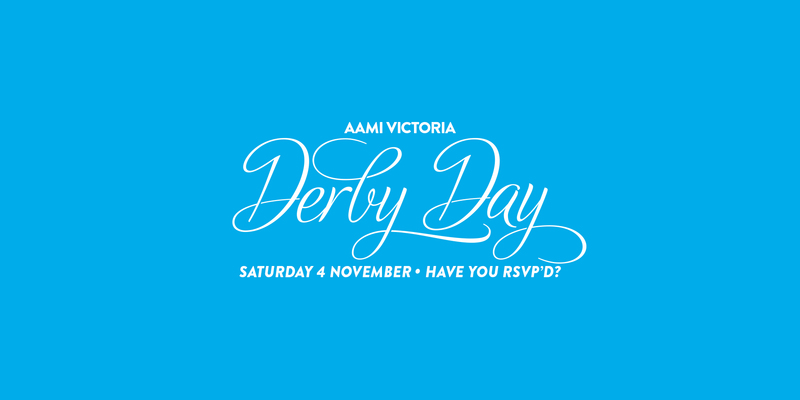 Everyone from fashionistas to racing die-hards to first-timers RSVP to AAMI Victoria Derby Day on Saturday 4th November, 2017. Widely regarded as one of the most prestigious days of racing in Australasia, AAMI Victoria Derby Day is known as a day of exceptional racing, fabulous fashion and colourful entertainment. The day features a card of nine Group races, with four at the elite Group 1 level. The feature Group 1 AAMI Victoria Derby, worth over AU$1.51 million, is Australia's premier staying classic for 3 year olds. This is the last chance for horses to qualify for the Cup, so there’s a lot at stake on the track. Off the track there’s plenty of action too. Live music, amazing bars and restaurants and more will keep you entertained all day long. The General Admission Park precinct will be open for the second year following 2016’s successful debut, and will feature special guest appearances from the heavily Britpop-influenced DMA’s and festival favorite Tkay Maidza. Although the dress code is black and white, it’s an incredibly colourful day. Myer’s Fashions on the Field competition begins for both men and women, with ladies embracing the classic dress-code of black and white and men decked out in sleek grey suits. The heavily Britpop influenced DMA's will be headlining The Park on AAMI Victoria Derby Day (5.20-6.20pm). With their current single Timeless smashing through the charts, this is one performance not to be missed. Festival favourite Tkay Maidza is set to shake up audiences on AAMI Victoria Derby Day (4-5pm) with her rapid-fire flow, frenetic beats and fiercely inventive lyrics. The Myer Fashions on the Field precinct will showcase the brightest and best fashion has to offer. Watch the parades and marvel at the exquisite outfits competing for the ultimate prize. A venerable foodie haven, the culinary delights on offer in The Park this year will include 8bit, 400 Gradi, DEXTER, Hector's Deli and Rice Paper Scissors. Quench your thirst at the bars in The Park including A'Tivo Bar, Absolut @ The Park, James Boag Premium Bar, James Squire Caravan, The Aviary by Lavazza, Bar Schweppes, Wolf Blass Bar and the Pony Bar. The James Boag’s Premium Celebration Deck offers one of the best vantage points on course with a fantastic view of the Winning Post, plus music and entertainment. For this Melbourne Cup Carnival we have created all new spaces for Members to explore! No matter where you have previously been on course you will find something that suits your raceday needs. From right up in the action by the Mounting Yard Bar to a cosy corner in the Members Only Bar on Hill Stand Level 1, there is a place for every Member. Take a look at all the different spaces available to Members for this carnival only and start planning your day out at Flemington. The Melbourne Cup Carnival isn't just about the races. The food, fashion, fun and entertainment on offer is just as much a reason to come along this year. Take a look at all the Dining options on offer - from ultra-exclusive to more casual - and find a Dining Package to suit your tastes. View AAMI Victoria Derby Day dining packages. Enhance your raceday experience by downloading the 'Flemington Raceday Guide' mobile app on iPhone or Android. Keep an eye out for the Gentlemen to Help roving around the carnival, providing female racegoers with fashion first-aid. Pre-order your drinks on Skip and bypass the bar queue like a VIP. This year, Skip is back bigger and better at the Melbourne Cup Carnival. To celebrate, Skip has put together some special offers that we think you’ll love. Special trains run direct to Flemington Racecourse on racedays. View PTV Flemington Racecourse public transport map. Visit Metro Trains for more details. Limited public car parking is available in the centre car park for $20. Enter off Smithfield Road at the Stables Drive entrance. This year at Flemington, there will be 3 designated UberZONES for easy drop-offs and pick-ups. They can be found at the Hill Gate, Elms Gate and the Main Gate. Check your Uber app on the day to find the best zone for you. Access to the Main Rank is only available via Smithfield Road, Stables Drive. No entry will be permitted via Epsom Road Gate or Members’ Drive. Access to the Riverbank Rank will be via a one-way arrangement from Smithfield Road (at Lynches Bridge Gate Entry) to the designated taxi rank at the Riverbank Transport Interchange, then exiting via a left turn at Fisher Parade. Access to the Hill Gate Rank is to be from the left lane only of Leonard Crescent which operates one-way for the duration of each raceday. Taxis will drop off patrons or will queue in the designated holding area within the VIP Car Park prior to picking up patrons and exiting back onto Leonard Crescent. Taxis and hire cars are permitted to drop off in the infield during the entry phase (Winning Post Enclosure/ Home Straight Enclosure) however during the exit phase no access will be permitted to the infield. VHA/B/C cars and limousines returning at the end of the day to collect patrons will be directed to park in the limousine holding area within the main Members Car Park and will be called down to the patron collection point when their client is ready to depart. VHA/B/C cars and limousines returning at the end of the day to collect patrons will enter via Lynches Bridge Gate and will be directed to the Limousine Holding Area and will be called down to the Elms patron collection point when their client is ready to depart. VHA/B/C cars and limousines returning at the end of the day to collect patrons will be directed to a holding area within the Showgrounds located adjacent to the Limousine Meeting Point and a short walk from the VIP parking area. Entry to the holding area will be via Gate 7 from Leonard Crescent. After parking their vehicle in the holding area, drivers can arrange to meet their clients at the Limousine Meeting Point. Drivers will need to exit via the Showgrounds, exiting onto Langs Road through Gate 5. A designated drop off area is set up in Langs Road (near the Hill Gate entrance) for private and public drop off. Please note vehciles of this nature without appropriate members’ car park parking passes will not be permitted to enter the racecourse via Epsom Road, Smithfield Road or Lynches Bridge entry. A bus parking area for members’ coaches/buses is provided in the wetlands, with access provided via Smithfield Road, at the Stables Drive access. Coaches utilising the Members’ Car Park bus parking area will be allowed to park for the duration of the raceday. Please note no coach access will be allowed through the Epsom Road Gate and Members Drive Gate. Low bridges exist on Epsom Road (3.9m) and Racecourse Road (3.6m). During the entry (morning) phase, buses and coaches utilising the Riverbank Entry are to approach from Smithfield Road through Lynch’s Bridge Gate and along the Riverside Road. Passengers can be dropped off at one of 8 bus bays provided at the Riverbank Transport Interchange and then exit via the River Bank Gate to Fisher Parade. Buses wishing to park all day must return via Ballarat Road and Lynch’s Bridge Gate, and enter via the designated storage area along the riverbank. Please note that no passengers are to be dropped off along the Riverside Road. During the exit (afternoon) phase, a call-up system operates for passenger pick-ups. For patron safety and to ease traffic congestion, a maximum of 8 coaches at any one time will be called from the designated coach storage area to the Riverbank collection point. Event and traffic management staff will assist in the control and management of the call down arrangements. It is mandatory that coach companies utilising this transport interchange have a passenger manager (or similar) to coordinate the loading of passengers during the exit phase. Coaches will not be permitted to wait in the Riverbank Transport Interchange loading bays for patrons to exit the venue, patrons must be waiting in the corralling provided prior to coaches leaving the storage/holding. View Victoria Racing Club Members' Enclosure Dress Regulations for complete dress code. Purchase your tickets now and save! Early bird ticket pricing valid for tickets purchased on or prior to 17 September 2017. Please note, prices do not include Ticketek booking fees and delivery charges. ** Children under 16 (FREE) must be accompanied by an adult to enter the racecourse. ^Carer accompanying a person with a disability (FREE). Carer must have a Child Disability Allowance Health Care Card, Disability Pension Card or Companion Card.